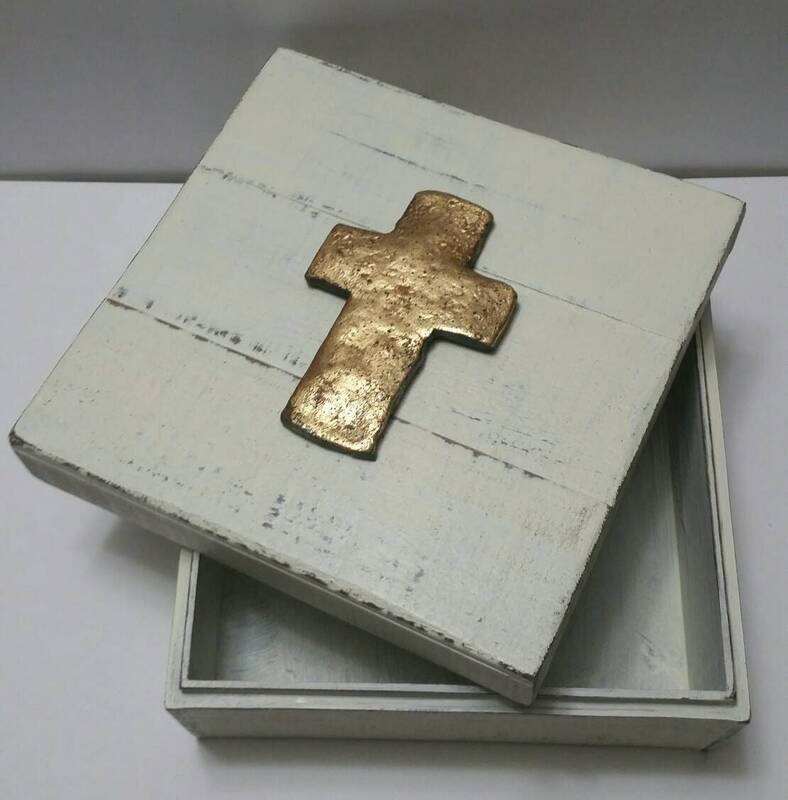 Wooden Box With Lid - Gold Leaf Cross- Painted Distressed White - Jewelry Box, Storage - Handmade. 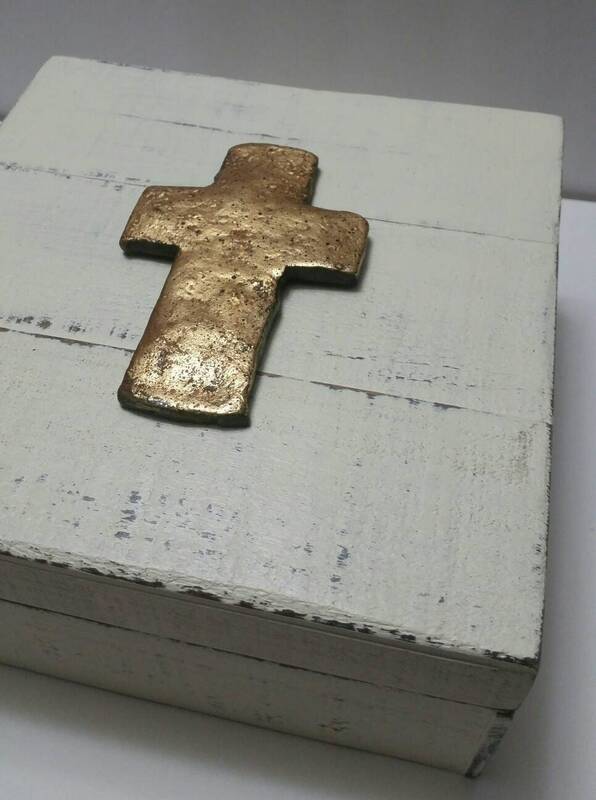 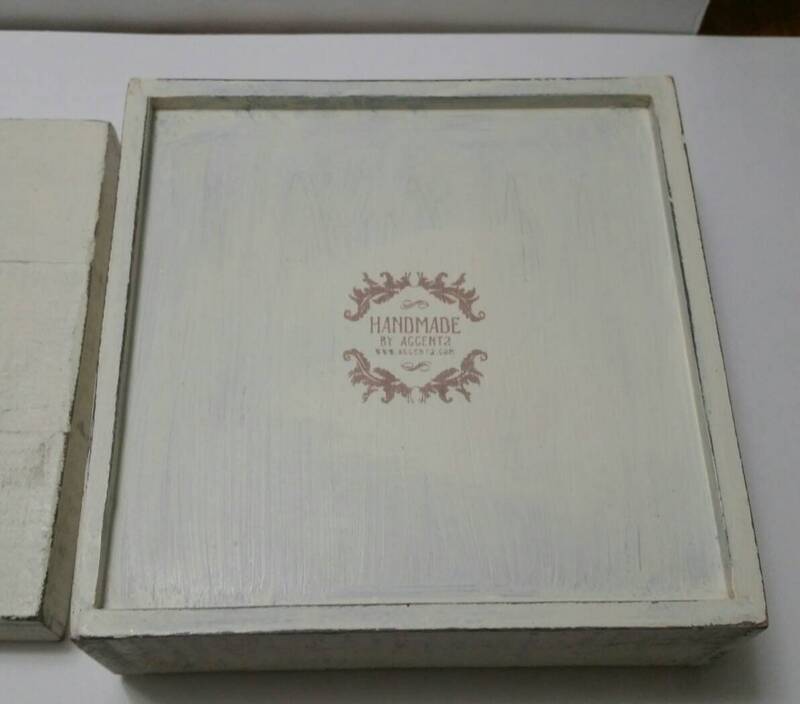 This handmade wooden box has been painted white and distressed - we have accented the top with a gold leaf Cross. 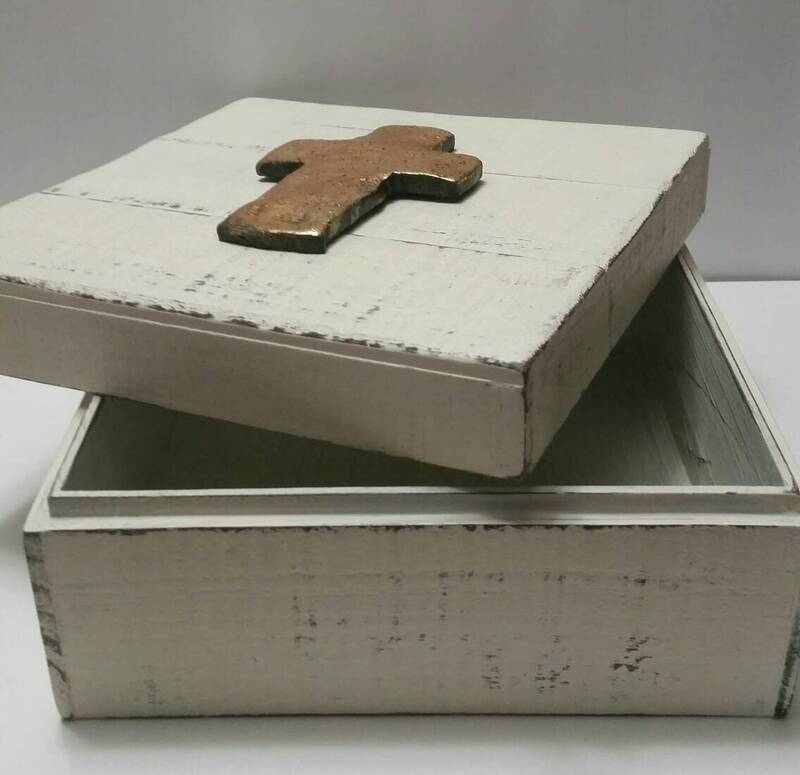 The lid just simply lifts off to storage your items. 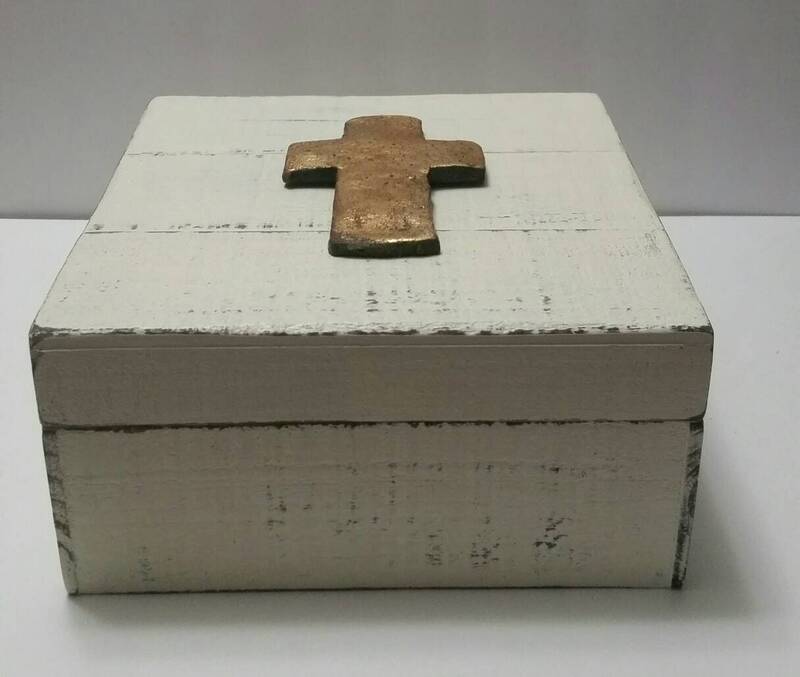 It has so many uses jewelry box, extra hidden storage, coffee table on a stack of books your bedside table or nursery gift. 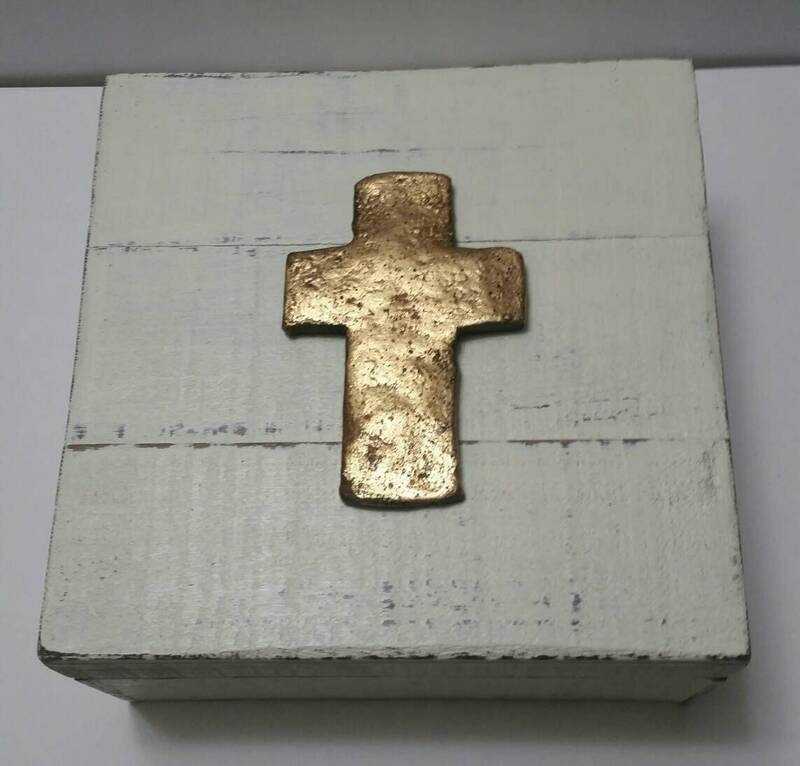 Overall size is 8" × 8" × 4 1/2" high.